(Santa Ana, California) January 17, 2019 – The Astronauts Memorial Foundation (https://www.amfcse.org), a nonprofit organization that honors and memorializes those astronauts who have sacrificed their lives for the nation and the space program by sponsoring the Space Mirror Memorial, and by implementing innovative educational technology programs, has selected Professional Coin Grading Service (www.PCGS.com) to create a special label to celebrate the launch of the Apollo 11 50th Anniversary Commemorative Coins. PCGS has prepared special inserts featuring the AMF logo juxtaposed against the sun rising behind the earth. These commemorative coins will also receive the First Strike® designation, when eligible, and Apollo 11 50th Anniversary pedigree. 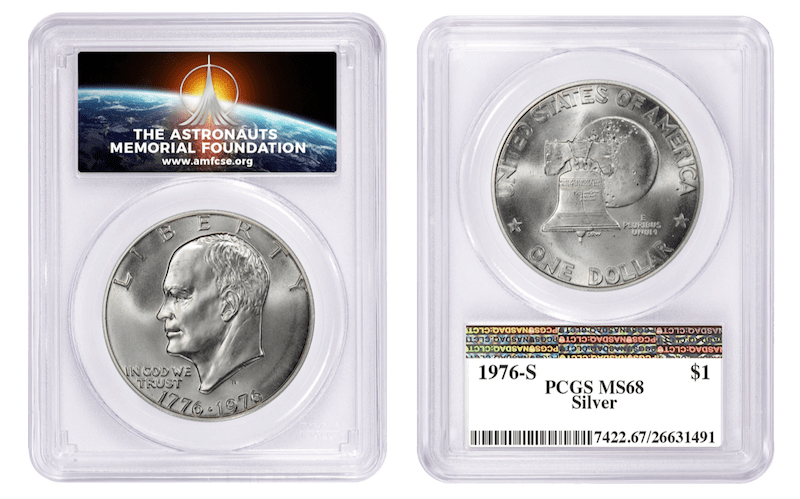 The new Apollo 11 commemorative coins, and other specified U.S. and world coins will be eligible to receive the AMF label. “PCGS is pleased to partner with the Astronauts Memorial Foundation and help support AMF’s mission to inspire future generations of scientists, engineers, and mathematicians through their many programs and outreach activities. 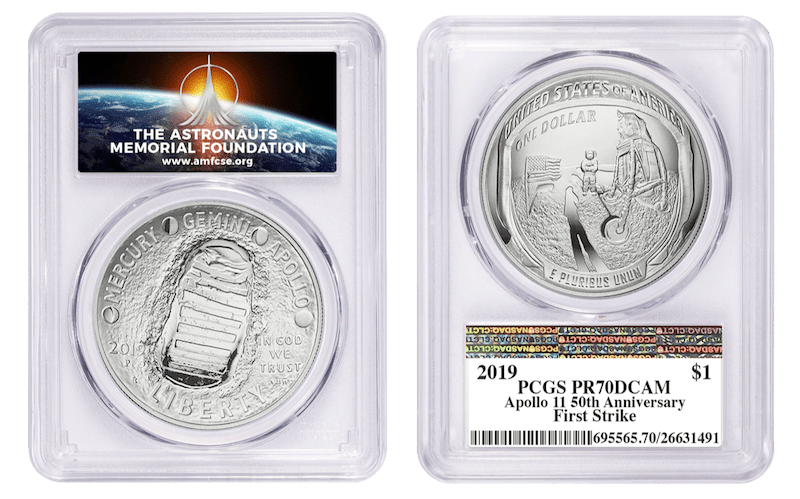 This is a perfect way for the hobby to pay tribute and memorialize the 1969 Apollo 11 mission and the United States Mint’s 50th Anniversary Commemorative Coins,” said PCGS President Brett Charville. Since its founding in 1986, PCGS experts have certified over 40 million coins from over 100 different counties with a total market value of over $34.5 billion. For information about PCGS products and services, including how to submit your coins for authentication and grading, visit www.PCGS.com or call PCGS Customer Service at (800) 447-8848.